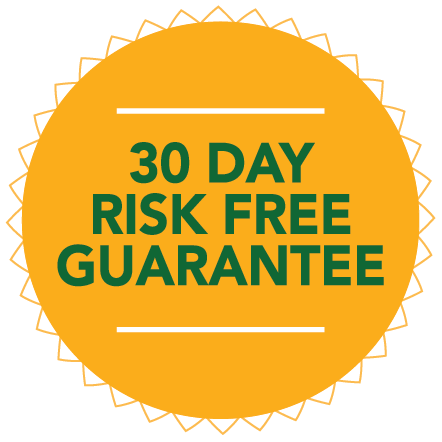 How can reverse mortgages be used to better secure retirement? In the early days, reverse mortgages were generally treated as a last resort option after other resources were depleted, or as a way to obtain quick access to a large lump-sum of assets. 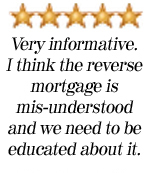 This is not the appropriate way to think about reverse mortgages in a retirement income plan, especially in light of recent research. The reverse mortgage option should be viewed as a method for responsible retirees to create liquidity for an otherwise illiquid asset, which in turn can create new options that potentially support a more efficient retirement income strategy (more spending and/or a greater legacy). 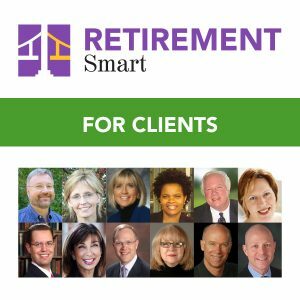 Financial advisors must pay attention to their client’s home equity, as this is a vital asset that can be used as part of a coordinated strategy to improve retirement outcomes. How to think about the reverse mortgage line of credit as a form of insurance to protect against market losses or declines in the home value. Your presenter is Wade Pfau, Ph.D., CFA is a Professor of Retirement Income for the American College of Financial Services and the Director of Retirement Research for McLean Asset Management, as well as the author of Insights & Research for Lifetime Financial Planning for the Retirement Researcher. 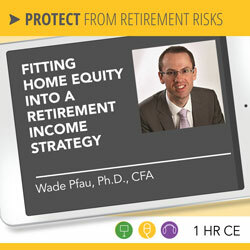 Wade is passionate about retirement income security for Americans by providing educational material and information about retirement income strategies for advisors. He has published research on retirement planning in a wide variety of academic and practitioner research journals, and is an active blogger and monthly columnist. Wade’s research has been discussed in outlets including the print editions of The Economist, Wall Street Journal, and SmartMoney. He is author of the new book, “Reverse Mortgages: How to use Reverse Mortgages to Secure Your Retirement”.